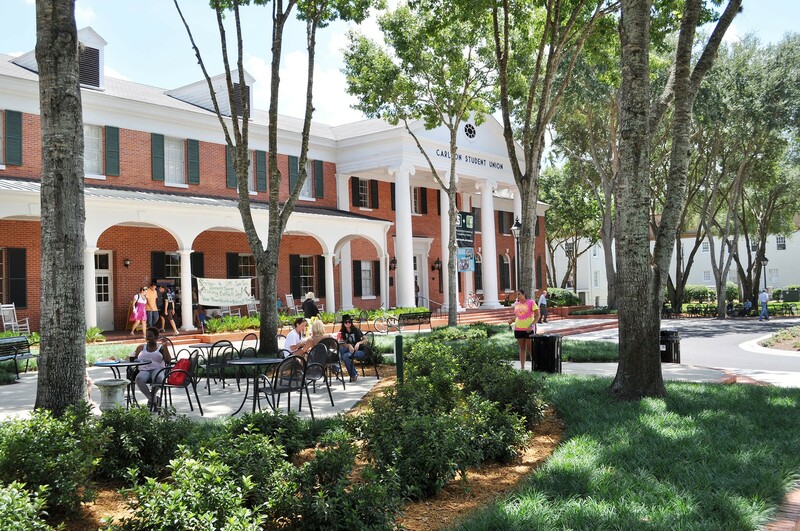 Recognizing the critical role that an attractive and welcoming campus plays in the decision-making of prospective students, Stetson University hired CRJA-IBI Group to guide a major improvement effort on its DeLand campus that was accomplished during the summer months and completed prior to the students’ return to campus for the fall semester. Working closely with the University’s Facilities Department, CRJA-IBI Group reviewed the campus in detail to orchestrate a face lift for the core campus area that would further minimize the impact of the automobile on the campus, improve the pedestrian experience for current and prospective students, eliminate troublesome maintenance areas, rejuvenate and enhance planting beds, create new gathering spaces related to academic, athletic, residential and student life buildings, and celebrate the quintessential campus space—the Palm Court. 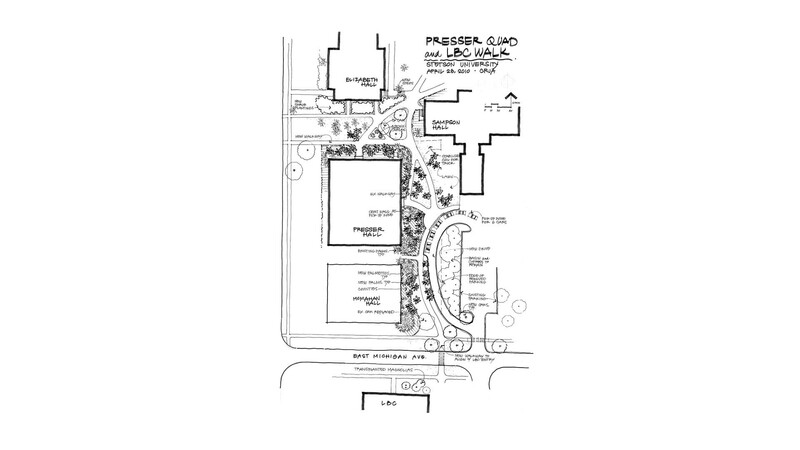 In a few short months the core campus was transformed by the planting of nearly 300 native trees and nearly 50,000 sf of ground cover and shrub beds, the conversion of 14,000 sf of vehicular pavement to planting or lawn, the laying of 15,000 sf of new brick pavement, the installation of a new irrigation system that greatly reduced the campus’s water consumption, and the installation of a new palette of campus furniture of benches, trash receptacles, rockers, tables and chairs, and umbrellas to create a rich campus environment for the University community. Six months after CRJA-IBI Group’s landscape changes were implemented, the University held its annual Accepted Students Day. The rate of acceptance on this day nearly tripled compared to recent years. This fact is one of several supporting the University’s decision to improve the campus landscape. 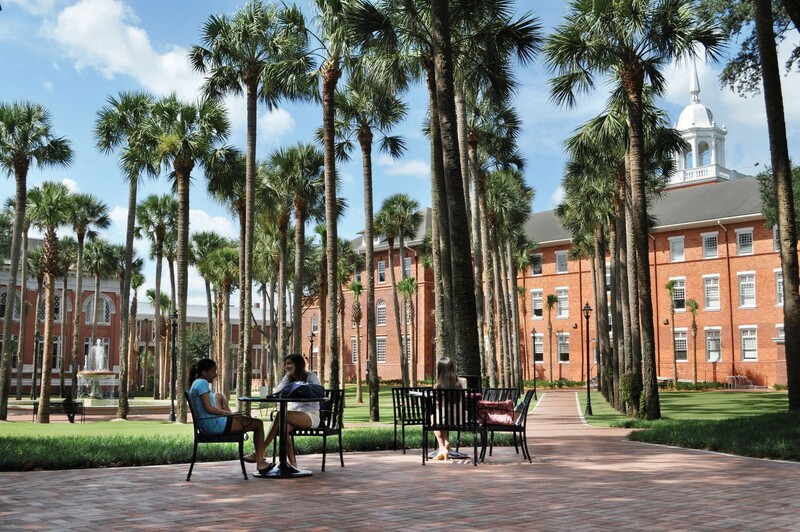 The main campus space at Stetson University is the Palm Court which features a fountain from a World Exposition in the 1930s and two handsome historic buildings. 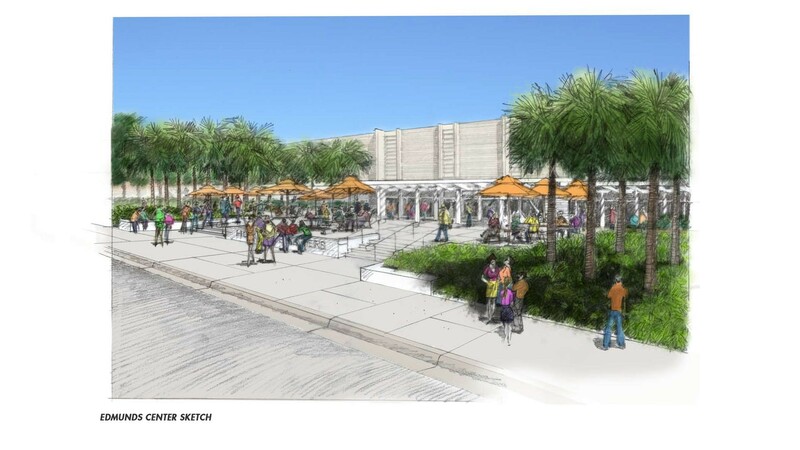 When CRJA-IBI Group began working at Stetson, overgrown plants somewhat obscured the historic buildings, the layout of the palms was rather fractured, sitting and relaxing opportunities were limited and the paving didn’t harmonize with the historic buildings. The Palm Court now is completely planted, new walks which respond to desire lines have been added, all walks are paved in brick which harmonizes with the historic buildings, and many new sitting areas have been added. A wooden snack shack blocked vistas at the campus core and made wayfinding difficult. The shack was removed on the recommendation of CRJA-IBI Group and the intersection of the two main campus access routes was opened up. 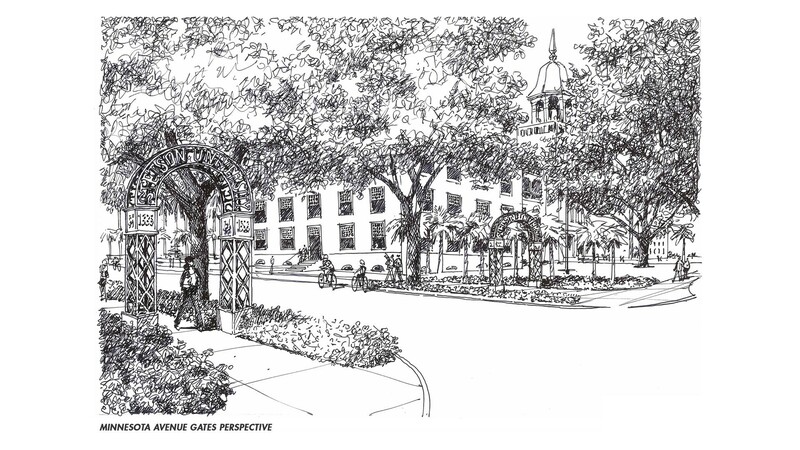 An existing allee of oak trees became visible from the campus entrance and the ground beneath the trees which had been dirt became a rich tapestry of shade-loving plants. 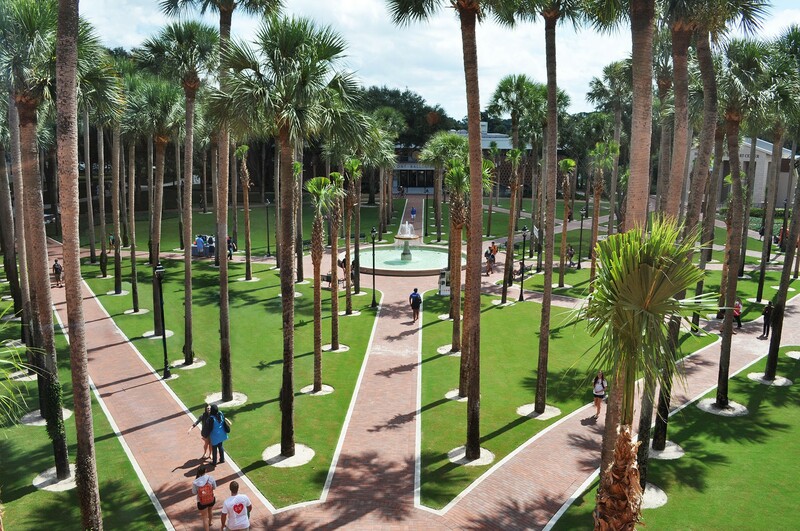 The new walkways and plantings at Stetson’s Palm Court leave open key vistas of historic Elizabeth Hall.